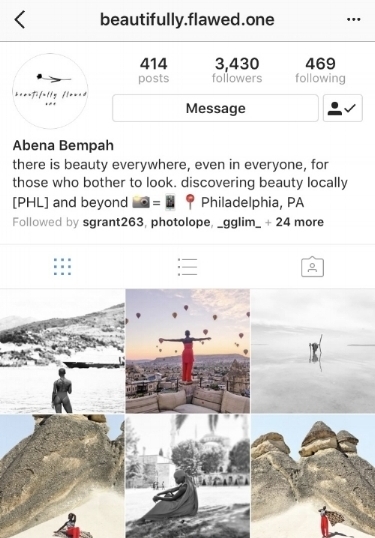 Last week I featured Abena Bempah as a part of my Calm Confidence Series and if you took a look at her Instagram page, you would have fallen in love with her glamorous [ iPhone) photographs of her travels. Abena has taken 4 solo trips this year so far and has 2 more trips planned for 2017: a family trip to Puerto Rico and a 6-week internship in Ghana. She was the perfect person to ask to share some travel and photography tips. Invest in a lightweight tripod. Pictures taken with a tripod give you flexibility with perspective. If you can't part with your selfie stick, get one that has a tripod attachment. Prepare before hand. Look up the sites you will visit on Instagram, TripAdvisor, or Google. Fortunately, you don't have to reinvent the wheel. Other images can help you scout out the best place/way to capture the beauty of a place. Also consider what you will wear. It may seem silly, but a nice outfit can add to the composition of the image. The inverse is also true. Figure out how to work your camera’s timer or download an app to help you with this. PicItEasy or Photo Timer works for me. Take as many pictures as you want! The more the merrier is my philosophy. But remember to be present. Sometimes capturing the moment causes you to actually miss it. Don't get too caught up in taking pictures that you don't enjoy your trip! If you're new to traveling solo, start with places that are relatively welcoming of female solo travelers. That is almost any place in the world, but do your research. Consider staying in an Air Bnb or Hostel. This is a great way to meet people. If hotels are your preferred accommodation, spend time in the public areas like the lobby or restaurant. Say hi! Honestly, striking up a conversation with a stranger is so much easier when you're abroad and it can lead to unexpected adventures. I have gone to the best museums, restaurants, and excursions with other travelers or at their recommendation. Social media can help you make friends abroad. 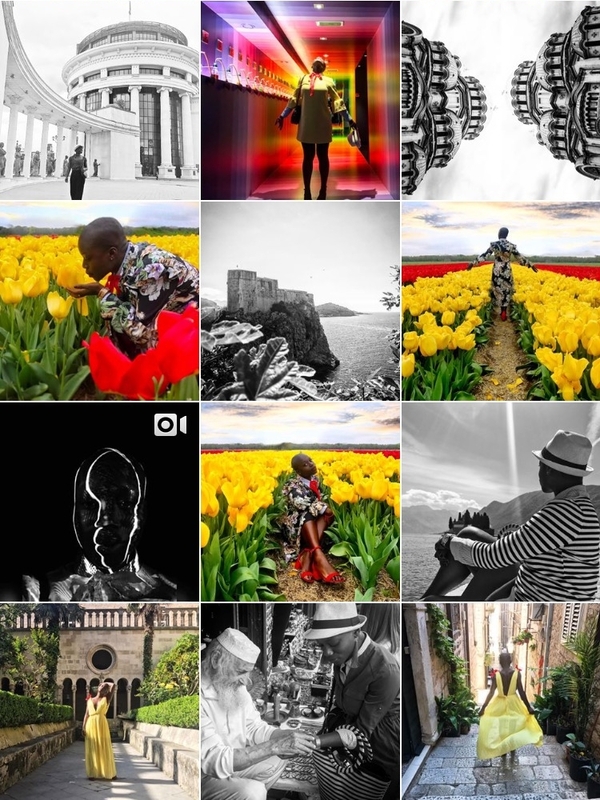 When I went to Colombia I joined a couple of expat and traveler groups on IG/FB and posted my approximate travel itinerary. By the time my trip came, I had plans with people who would be in the city at the same time with me to eat and go island hopping. Take some personal time to reflect/meditate/pray/relax. Life can be so busy especially if you are in your typical routine. Travel in general is a hiatus from the norm so take advantage of this. Therefore, take some time to be still while traveling solo and you’ll learn something about yourself in the process of learning about a new city/country. I asked Abena what was her current motto for action in the face of fear as we all tend to let the fear paralyze us and I am always interested in hearing how others garner courage. Her response below what just what I need to hear as I have been struggling with fear in one particular area of my life. I hope it blesses you as well.
" I don't always consider myself as fearless. Traveling solo seems feasible —like failure is not an option— so it doesn't scare or worry me. However, one of my current challenges is believing that I can live location independent. With a mortgage, a pup, and other financial responsibilities my dream is to live anywhere in the world, whenever I want to. When I think of all the obstacles standing in my way and become anxious about the future, I remember my thoughts become things. Therefore, I intentionally think of a few things that I am grateful for in my life currently; which elevates my mood. Then I remember what I have prayed for and acknowledge that it isn't my responsibility to figure out the path but to take one step towards the destination. One way to take a step of faith is by speaking about my future as if it were my reality. I tell people I am moving to Turkey at the end of the year. I also practice visualization. I imagine myself walking the streets of Istanbul, opening the door to my apartment, and making new Turkish or expat friends. I also do practical things like job searches. However, over coming the fear of the unknown first begins with how I think." [Emphasis is mine]. Thank you Abena. Please go and follow her on Instagram.